Month - in the mode only hours. Watch for active people use a lithium-ion battery as their energy source. 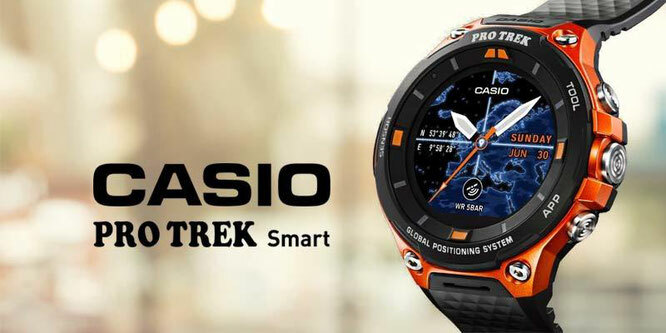 The battery life is more than 1 day under conditions that Casio calls "normal operation", but with the constant use of GPS this period is significantly reduced. This is indeed the problem of all the smart hours of our time, especially when they are intended for camping use. In any case, in the evening you will have to camp and find an extra power source to charge the clock. There is also a "clock" mode, in which the charge is enough for a whole month, but then you can not use the smart functions of the gadget. 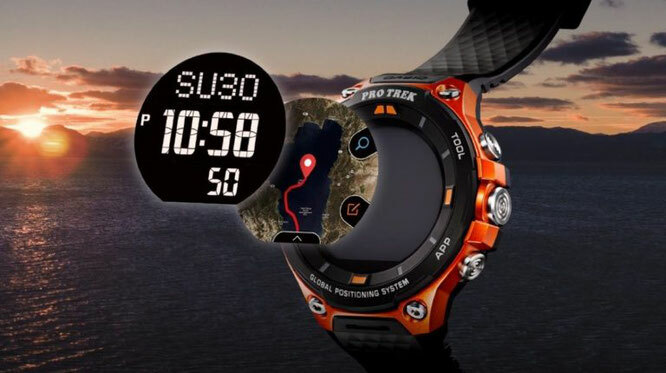 As a street clock from the Pro Trek Smart watch series, the CASIO WSD-F20 uses energy-efficient GPS, which the user can use both online and offline. The integrated low power GPS supports data from three different satellites for the most accurate triangulation: American GPS, Russian GLONASS and Japanese MICHIBIKI QZSS. These satellites instantly determine the location and display your position on a full-color map.